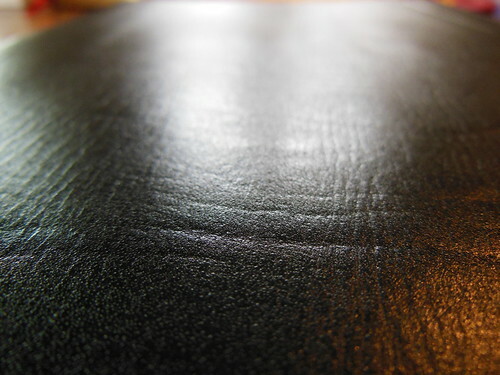 A Review of the Local Church Bible Publishers Hand Size Text Bible in Black 1 piece Ironed Calfskin Leather, the Item #: 180E1B. The 180E1B is the 180 Hand Size, Text Bible in the Executive line, with a one piece cover, in black ironed calfskin leather. 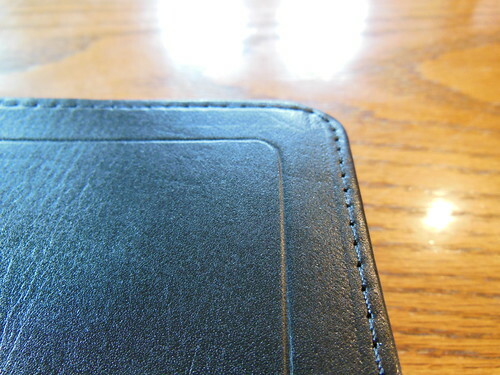 When closed, it measures 6″ x 8.5″ x 1.5″ It is an attractive looking Bible. The grain has been ironed out of it. It is smooth and flexible. There are decorative spine hubs and gold gilt page edges. 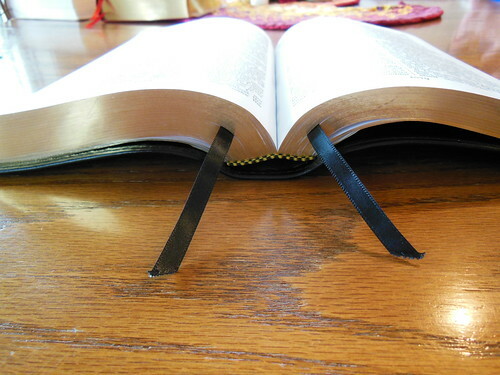 On the spine is written, “Holy Bible” at the head, “Authorized King James” at the middle, and, “Church” at the tail. There are decorative gold and black, head and tail bands. It comes with two, black ribbon markers. There is a perimeter line on the cover. The cover is perimeter stitched to the inside liner. 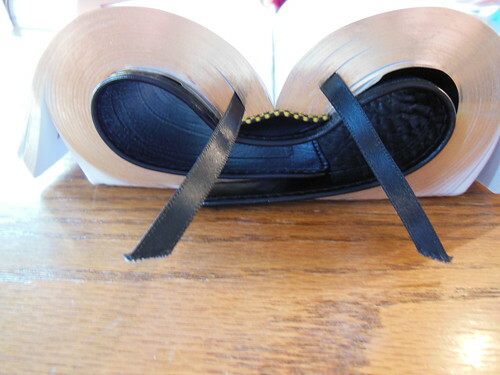 The Bible is edge lined and smyth-sewn, making it very durable and flexible. You would not get this quality without spending much more. LCBP Bibles are an extremely good value. When you open this Bible you first see some blank pages made from a heavier card stock, then the presentation page, and the family records pages. Then the Title page as well as the Preface to the King James Version 1611, “THE TRANSLATORS TO THE READER.” We then get into the meat of the Bible. It is laid out in a double column, verse format, with a line separating the columns. 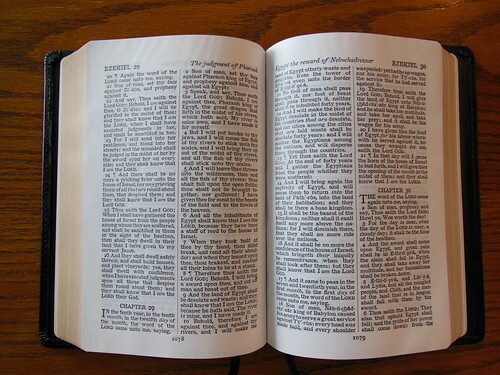 This is a text Bible so there are no cross-references or footnotes. It is also a black letter edition that utilizes the self-pronouncing text in a 10.5 pt medium font. It looks like an old typesetting of the text. The font is not sharply printed like modern methods would produce. It is well inked and dark. The paper makes up for the font. It is very opaque and heavy. If I could only get this Bible in NASB I’d be happy. I know the people at LCBP would not like that last bit 🙂 There is a robust 197 page concordance in the back as well as some blank sheets for note taking. There are six maps printed on the same cardstock paper as were in the front of the Bible. 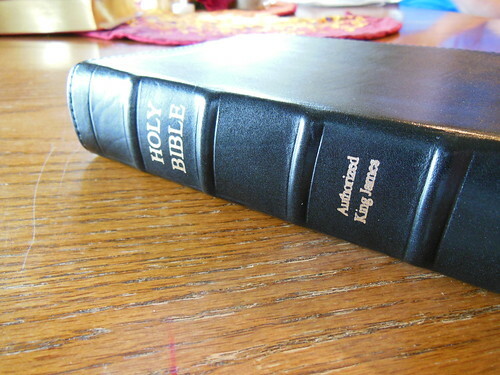 If you are in the market for an AV KJV Bible that will outlast you, and don’t want to spend a bunch give LCBP a look. You might be pleasantly surprised. 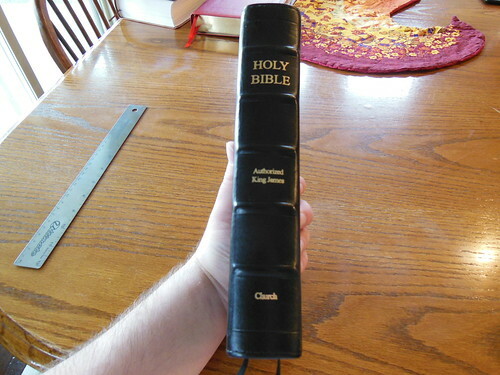 Make sure to check out all the pictures of this Bible on my Flickr page. 180180E1BA Review of the Local Church Bible Publishers Hand Size Text Bible in Black 1 piece Ironed Calfskin Leatherav 1611 kjbav kjvBibleBible reviewBible reviewsbindingblackBobBob Snydercalfskingenuine leatherHand sizeironed calfskinkjvlcbplocal church bible publisherssewnsewn bindingsmyth-sewnsmyth-sewn bindingSnyderSnyder's SoapboxSnyderssoapboxsnyderssoapbox.comtext biblethe Item #: 180E1B. A Pleasant Reacquaintance with an Old Friend, the Lockman NASB Side Column Reference Bible in Black Genuine Leather. Richard Baxter’s, “The Reformed Pastor” published by, “The Banner of Truth” is just as relevant today as it was in 1651.